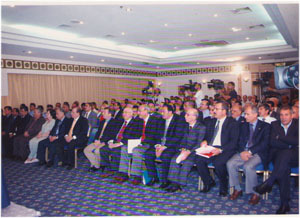 This conference was opened by the Prime Minister of Jordan on the day following Petra's selection as one of the new Seven Wonders of the World. Hundreds of academics and individuals involved in culture attended. 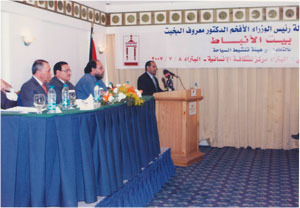 The focus of this conference was on activities promoting national awareness of the importance of Petra as being central for human civilization. This activity enabled Bait Al-Anbat to contribute to raising awareness at the national level. 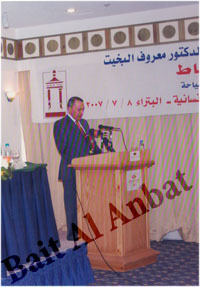 Moreover, the conference provided an opportunity for Bait Al-Anbat to increase its national recognition. 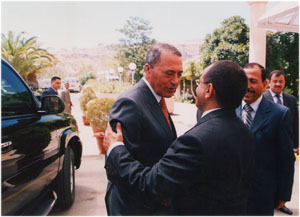 As a result of the conference, cultural specialists issued a list of major issues facing Petra.